Fig. 1. Consolidated Standards of Reporting Trials (CONSORT) flow diagram of patients. 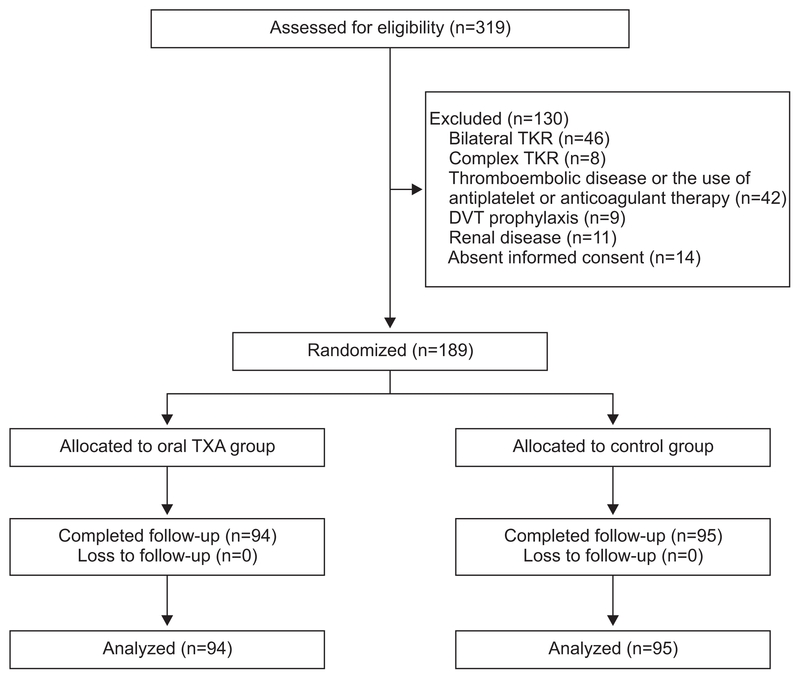 TKR: total knee replacement, DVT: deep vein thrombosis, TXA: tranexamic acid.